Despite the economic meltdown, this almost-Arctic island is still going to test your bank balance. So freebies here taste all the sweeter – and Goecco’s Reykjavik Free Tours are as unique and feisty as a shot of brennivin (the local firewater – drink with caution). These two-hour easy ambles around the secret sites of Reykjavik are led by “performance historians”. 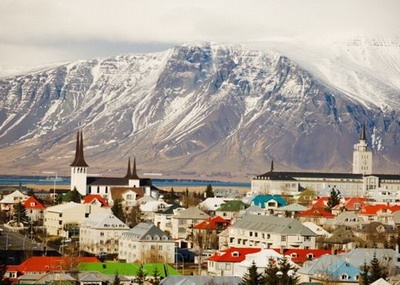 You’ll see the city’s maritime architecture, historical foundations, coolest districts and best bathing spots, accompanied by lashings of Icelandic quirk – stories told with actorly verve, which lift the lid on this inscrutable capital. Tours depart Ingolfs Square at 1pm Monday to Saturday, from May 15 to October 1. See www.goecco.com. Simply, it’s the greatest collection of art ever assembled, displayed in a building that is both a typical Parisian palace and a striningly modern pyramid of glass. There are more than 35,000 items here, from ancient Egyptian antiquities to Greek treasures, Persian trinkets and paintings spanning cnetureis. Its depth and breadth is truly overwhelming; you really need more than a day to appreciate te wonders assembled here. But if that’s all you have, make it a certain day. On the first Sunday of the month, the Louvre is free – something, surely, that should make even the resident Mona Lisa by Leonardo da Vinci crack a proper smile. 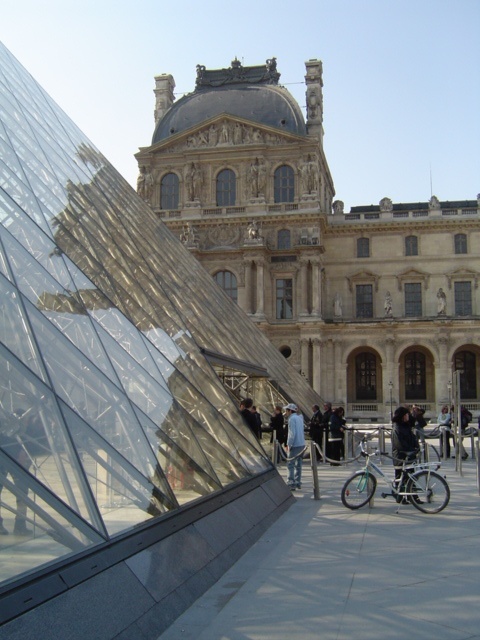 The Louvre is open daily except Tuesday from 9am to 6pm (10pm Wednesday and Friday); regular admission 10 euros. See www.louvre.fr. 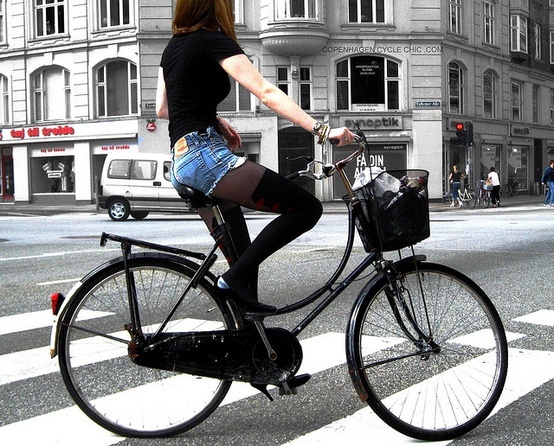 Copenhagen is the two-wheeled capital of the world: every day 37 per cent of locals cycle to work, and there are 390 km of dedicated cycle lanes. So really, it would be rude not to join in – a gesture made all the easier by Bycyklen, the city’s free bike scheme. Stacked at racks around central Copenhagen, these free cycles are the perfect way to get around the blissfully flat capital. You can pedal from the cafes lining the brightly painted harbor front to hippie hangout Christiania, the kitsch but cool Tivoli Gardens and around the grounds of 17th-century Rosenborg Castle – without it costing a drone. A 20 krona coin is neede to release a bike, which is refunded when you return it. Bikes are available from March or April to November. See www.bycyklen.dk. I’ve bathed in aromatic waters beneath lashings of rose petals; soaked an aching body in ginseng extracts; slathered up with chocolate; and detoxed – more like fermented – in a bath of rice and bran. But cruising the ‘net the other day, I came across some even odder bath rituals that are all the rage in Japan. On a serious note, it’s part of Japan transforming its traditional ‘Onsen’ resorts into spa destinations in an attempt to capture more of the lucrative spa-goers market. But on a sillier note, these concepts are taking a national custom of bathing to seemingly absurd extremes. For those who’ve felt so hungry they’ve wanted to dive right into their bowl of soup, the Ramen Soup Bath is the answer to your dreams. Guests soak in a giant soup bowl and are douses with noodles and curry sauce as faux noodles dangle overhead. Coffee drinkers will be in their element – literally – in this scenic outdoor Coffee Bath. One wonders if it’s hard to relax surrounded by all that caffeine, unless they’re using decaf. Starbucks, are you listening? Japan loves green tea and what self-respecting theme spa would neglect the nation’s loyal tea drinkers. The Green Tea Bath features a giant teapot that continually pours vivid green Japanese tea into the bath. Don’t soak too long; you’ll end up looking as wrinkled as a used tea bag. One spa now has wine flowing where water once did. The Wine Bath features a huge wine bottle from which flows a true Nectar of the Gods, tinted rich red and heated to a soothing warmth. Thrice daily, staff come by to pur actual wine into the bath and onto the bathers. And there’s another spa that has turned water into a soak of a different genre! If that weren’t enough, the Beer Bath is shaped like a frosty mug which is filled with warm, amber-colored water toped with hop-scented foam. In Austria, there’s a brewery that has filled an entire swimming pool with 42,000 pints of amber nectar. So, on St Patrick’s Day, do they dye the beer green? From about 90-days out, I do a 20-minute search on the web every day, searching for deal on discount airline sites like Air Transat (www.airtransat.ca) and fare trackers like www.airfarewatchdog.com that notify you if rates drop on flights to your chosen destination. Sometimes I use points to get me to cheaper gateway cities, provided connections don’t incur a hotel stay. And I’ll admit to upgrading myself on Air Transat; the extra $300 is so worth the extra comfort. When it comes to rooms, I tread carefully. There’s often a reason why something is cheap and in Europe that might mean you’ll end up on the wrong side of town or in a flea pit. Here’s where I turn to www.tripadvisor.com, www.expedia.ca and recommendations on family stays. Keep an eye on www.eurocheapo.com, too, where rooms in Barcelona, for example, are listed for as little as $50. Be sure you’re covered but remember that many credit cards provide trip cancellation and interruption insurance, rental car insurance and out-of-country medical coverage as long as you use the card to book your flight, accommodation or rental car. All of a sudden, that annual card fee is worth gold. Check out your cards and while you’re at it, confirm how they are received overseas and if they offer instant emergency cash. Staying with a family is a great segue into living like a local. North Americans have never quite married to this concept but it’s quite the norm elsewhere in the world. Many of my friends do the home-swap thing but if that’s not an option, check out www.interhome.com for rentals throughout Europe; www.rentalsfrance.com; www.rentuscany.com for villas in Italy and www.cottagenet.co.uk for the England and Ireland. Use the Tube in London, the Metro in Paris and bicycles in Amsterdam or Copenhagan where racks of bicycles are plentiful. Simply deposit money into the slot (about $4) to release your wheels of choice, pedal from point A to B, park your bike at the nearest rack and in many cases (as in Copenhagen) retrieve your money. European street eats are no longer confined to fish ‘n chips in England or bratwurst hotdogs in Dresden — though that country’s traditional fare is always the best bet – and they’re always reasonably priced. Besides, you then get to eat in great people-watching places such as in a park, on a beach, or beside a museum. If accommodation includes breakfast, eat heartily and have as late a lunch as possible so that dinner is light and inexpensive. I always travel with cookies (to accompany my English Breakfast tea), and often I’ll make supper a snack in my room of baguettes, ham and cheese. Remember, alcohol can make an inexpensive meal bust your budget. That’s why my water flask sometimes contains wine! Every city offers a ton of activities that you can enjoy for free including no-charge museum and art gallery days, and cultural events. Think Changing of the Guard in London, or the Basel Historical Museum. Google ‘free things to do’ in the city of your choice and presto. Contact the appropriate tourism agency where freebies are often categorized by interest and travel style eg: for families. The tourism folks will also let you know of any bundled attractions passes which for short visits in particular, can be a real money saver.